In April 2016, Christine Danchuk traveled down to Del Mar California to check out the Goodguys 16th Annual Meguiar’s Del Mar Nationals at the Del Mar Fairgrounds in Del Mar California. Judging by the video there was lots to see and even better lots of cool people to talk to. Have a look and if you don’t want to attend this show next year then you just aren’t a car buff. Sunshine, cool ocean breeze and SO MANY CARS! Check it out. 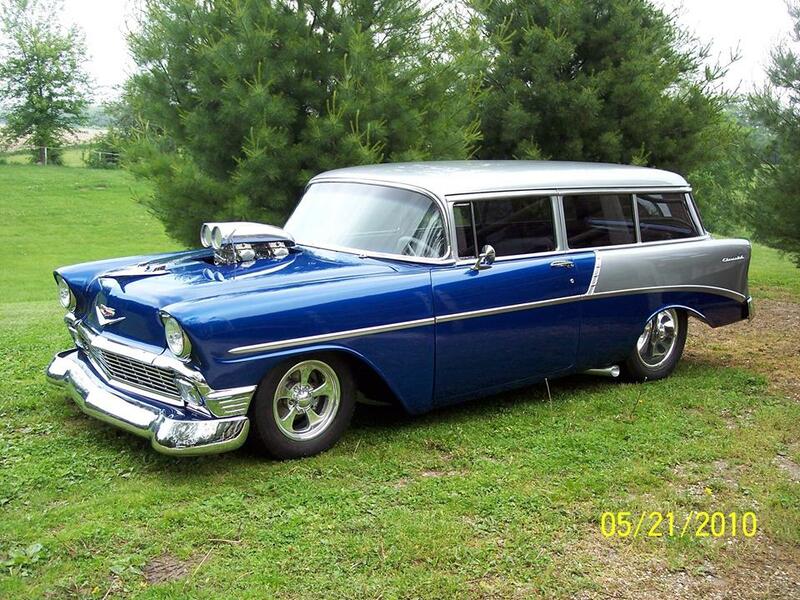 Kenton Bowles’s beautiful 1956 2-Door Wagon was our September 2016 Winner for Danchuk Facebook Feature Car of the Month. Removing the instrument cluster from a 1955-56 Chevy can be a daunting task. But if you know the tricks is is really quite easy. Mike Morgan, R & D Specialist at Danchuk shows us how. The 3rd Annual Danchuk Tri-Five Nationals will take place on August 11-12, 2017 at Beech Bend Raceway in Bowling Green, Kentucky. Admission for two adults and one 1955-56-57 Chevy for Friday and Saturday is 55.00*. Spectator admission is 20.00** per day. The Host Hotel is the Holiday Inn at 1021 Wilkerson Place, Bowling Green, KY 42103. For Golf Cart Rental please call 270-563-4183. Golf carts are for those with a handicap placard only. No one under 21 is allowed to operate a golf cart. This is a family event. Beech Bend Raceway has an amusement park as well as a water park. For more information visit www.beechbend.com. Click the banner above to go to the official Tri-Five Nationals website or click one of the buttons below to check Hotel availability, Hotel discount codes or to register for the event. See you in 2017. *Until January 31, 2017 the price goes up to $65. EXCEPT American Tri-Five Association members registration fee remains $55. Welcome to the Danchuk USA Blog where you can keep up to date on everything Danchuk and the goings on in the Tri-Five Chevy world.